Zanzibar has some of the oldest clove trees in the world, and Zanzibari cloves have a significantly higher percentage of essential oils (15-18%) than other clove producers. Our cloves are hand-picked at the last possible moment before flowering, ensuring the largest size and most mature flavor, and then dried in the tropical sun. They are bright, sweet and very spicy, with rich loamy warmth and a numbing menthol buzz. 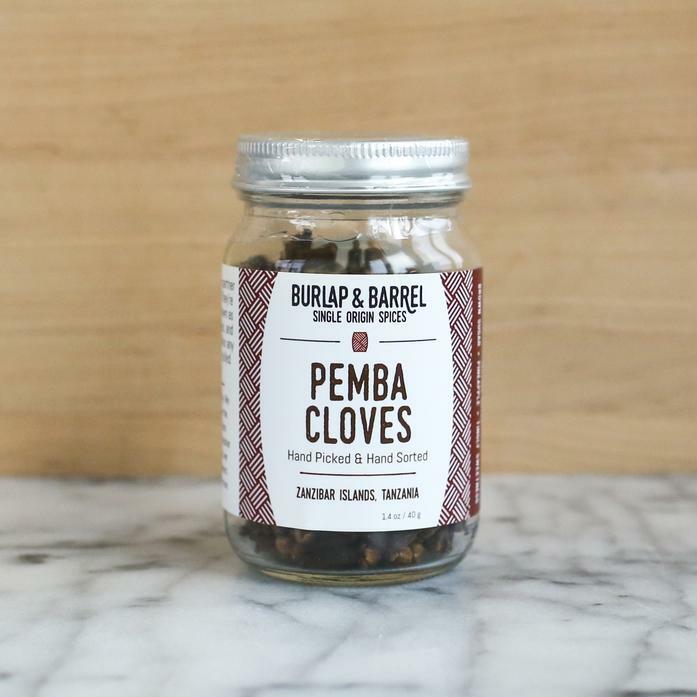 Our Pemba cloves are grown in EU-certified organic conditions. Each order contains one 1.4 oz jar.